Coming barely two months after the formal handover of the assets of the erstwhile Power Holdings Company of Nigeria (PHCN), subsequent to which the Federal Government has promised Nigerians improved power supply, it must come as a shocker that the Goodluck Jonathan-led government is proposing to spend a whopping N836.6 million to fuel generators in the coming year. The details as reflected in the 2004 budget under consideration by the National Assembly shows that the Presidency alone plans to spend N33.47 million to fuel its generators. For the Federal Ministry of Finance, a tidy sum of N76.5 million is proposed; for the Independent Corrupt Practices and Other Related Offences Commission ( ICPC), it is N29.05 million while N16.48 million is earmarked for the Office of the Secretary to the Government of the Federation. For the Office of the Head of Service, the budget is N40 million; Ministry of Interior, N20.75 million. For the works ministry, it is N25.05 million, while the National Population Commission has a budget of N22.53 million set aside for same -fuelling generators. The above are just a few of the Federal Government's departments expected to share in the bonanza that comes close to a billion naira. By way of comparison, the same Federal Government budget earmarked N654.02 million to purchase generators in 2013. Just as there may be those who may seek to rationalise the proposed expenditure on the grounds that no vote currently exists for the procurement of generators this year, even then, it is so easy to counter this by the fact that those generators purchased last year are nowhere near their replacement dates yet. The issue however isn't just the absolute numbers in the proposed spend. Rather, it is the attitude of the Federal Government - its preference for the easy and convenient - that we find deplorable. Nigerians should be worried that nothing appears to have changed in any attitudinal sense for the Federal Government, despite its averments to the contrary. To start with, President Jonathan is on record to have made promises - not once or twice but severally - that Nigerians would by next year have no need for their generators. How does one reconcile that with the humongous allocation being proposed to fuel the generators at the seat of government for the same period? Isn't it an admission that the administration cannot guarantee uninterrupted supply of electricity to anyone? So, why should citizens take the assurances of an administration that does not appear to suffer diminishing appetite for the use of generators with any pinch of salt? Today, despite the promises of vast improvements in services, the reality is one of acute regression. Not that Nigerians expected the new players in the power sector to wave the magic wand for the problems to disappear overnight. 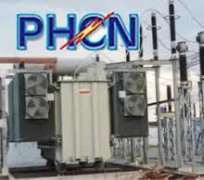 While the hiccups that have accompanied the take-over of the old PHCN entities by private investors may not be entirely unexpected, it would seem to have gone a shade beyond normal transition blues. Presently, the same recycled excuses about gas infrastructure, capacity issues and systems collapse are still being bandied despite the huge funds sunk into overhauling the chain. Even more worrisome at this time is that citizens do not even know which agency to hold responsible for the current regression. While it may seem impracticable to ask the Federal Government to throw away its generators, the point must be made that pooling nearly a billion of scarce public funds to fuel generators is hardly the way to inspire citizens' confidence in the power sector's so-called turn-around. Or, is the government saying that the delivery of uninterrupted electricity to the seat of government can only be done by generators?